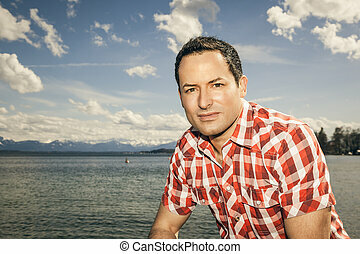 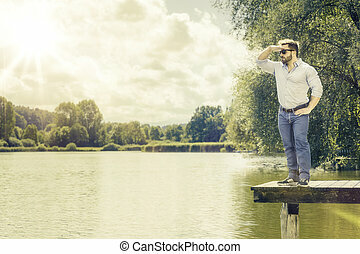 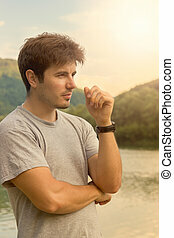 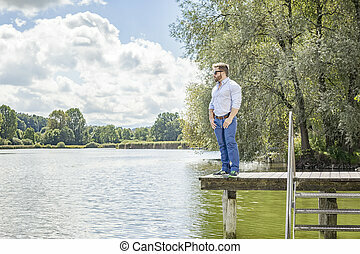 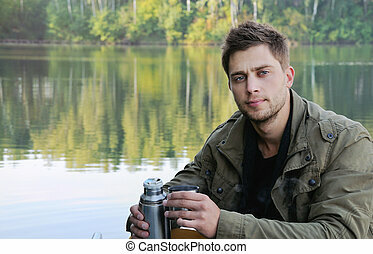 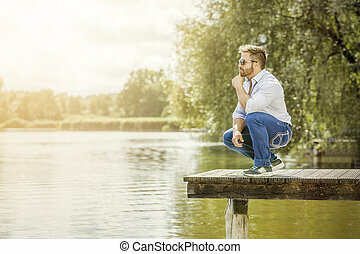 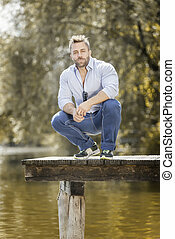 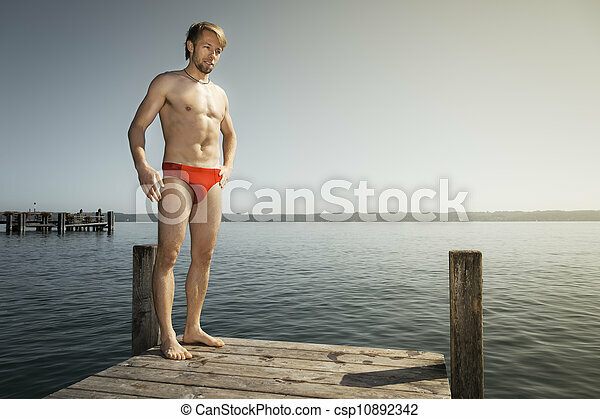 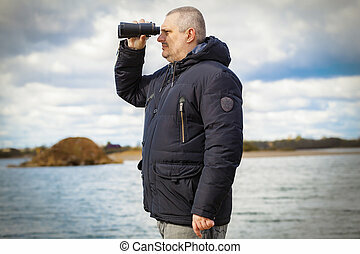 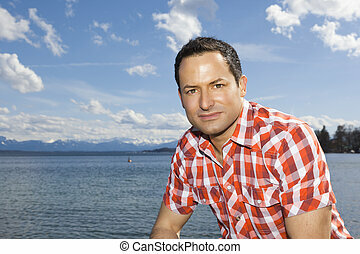 An image of a handsome man at the lake. 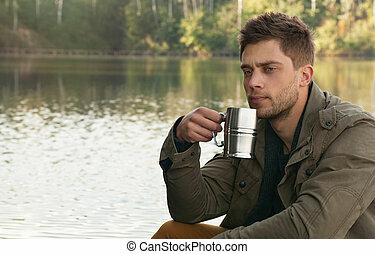 This image is a self portrait made early one morning at Hopewell Lake. 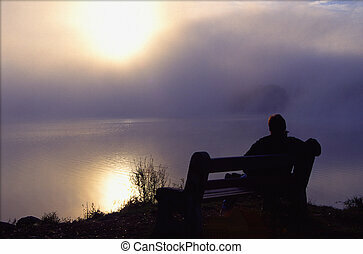 A beautiful foggy morning. 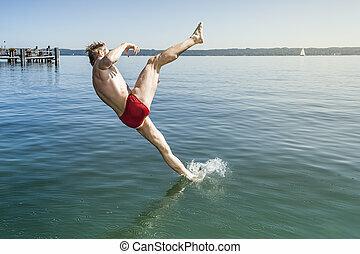 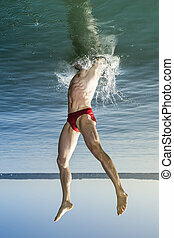 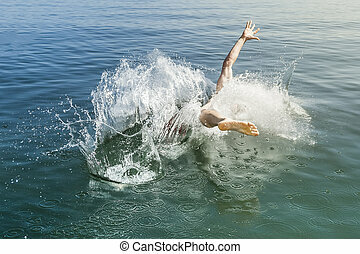 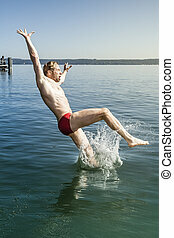 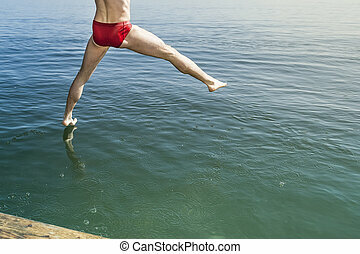 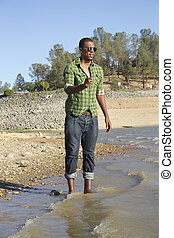 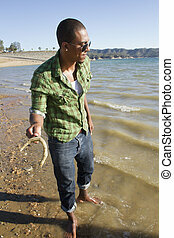 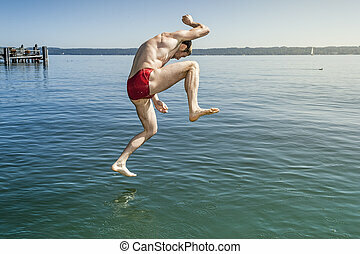 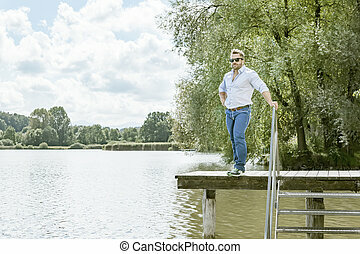 A hip young man plays in the water at the lake. 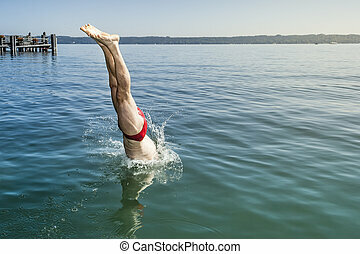 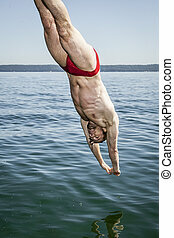 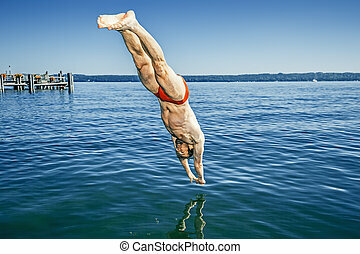 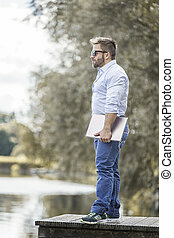 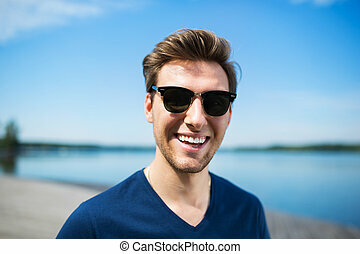 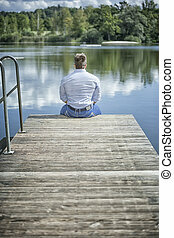 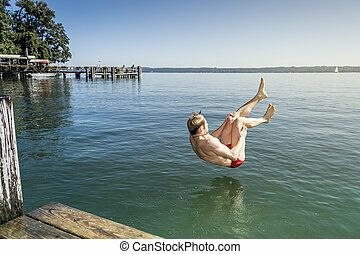 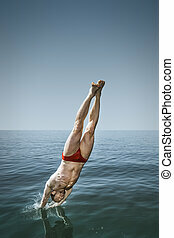 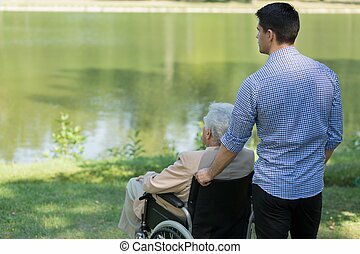 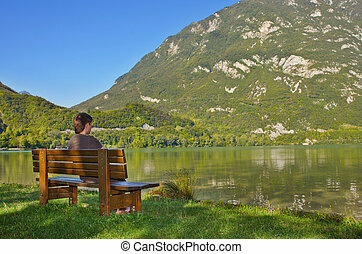 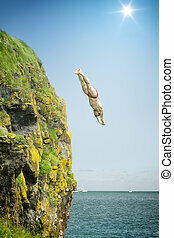 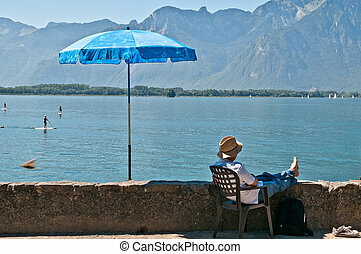 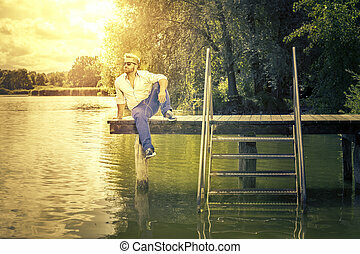 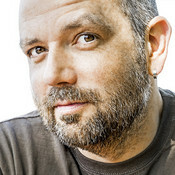 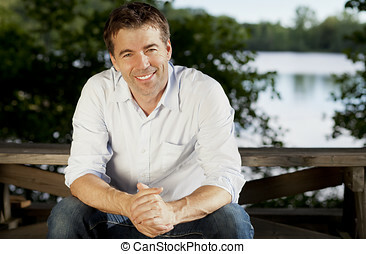 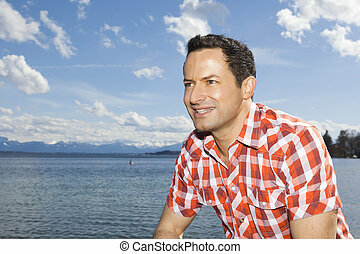 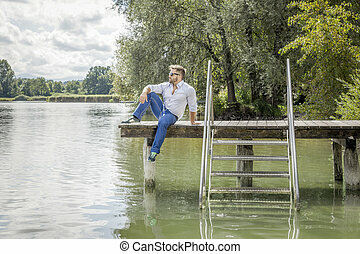 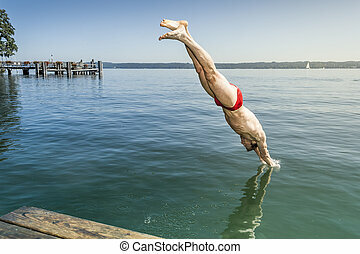 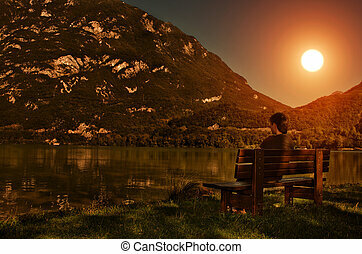 A photo of young, happy man spending his free time at the lake.